Mural Painting Museum (Chuvarchitra Kala Museum) houses at Kollencode House, built by King Vasudeva Raja of Kollemcode dynasty in 1904. The house is best example of typical northern Kerala architectural style. 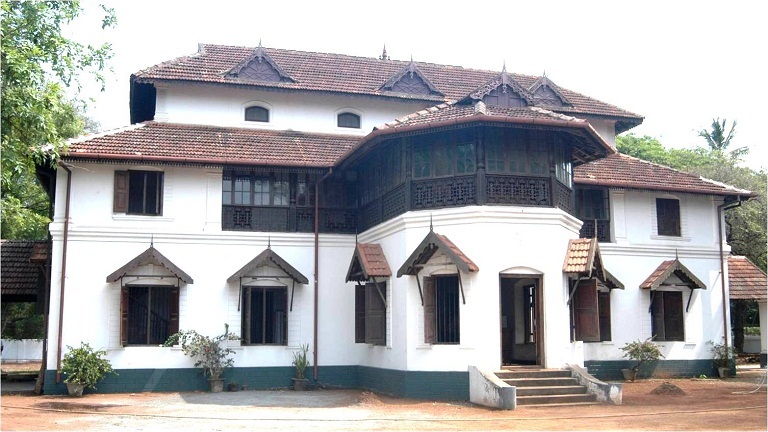 It was in 1975, the house in Thrissur was converted to a museum by state archaeological department. Kollengode was the seat of Vengandu Swaroopam (Kollengode dynasty). Known by the name Vengandu Nambidi’s, they were the rulers of eastern side of Palakkad. It was Mysore’s king Hyder Ali gave them the title of ‘Raja’. Headquarters of mural paintings section of archaeological department, the museum replicates some of the rarest mural paintings in its purest form. The mural paintings from Mattancherry Palace, Pundarikapuram Temple, Kanjoor Church are some of the collections here. The museum also displays the oldest sketches of the holy places like Badarinath, Rameshwaram, Kasi and Kanyakumari. The District Heritage Museum of archaeological department also functions here.